How’s your spring break going??? Looking for something to do? 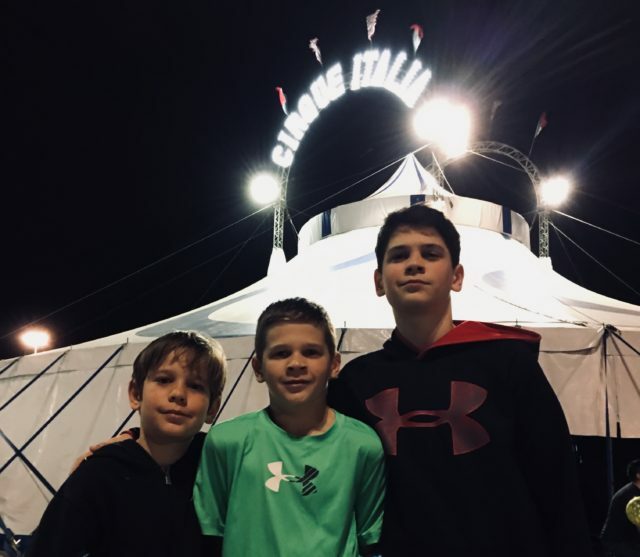 Check out Cirque Italia! 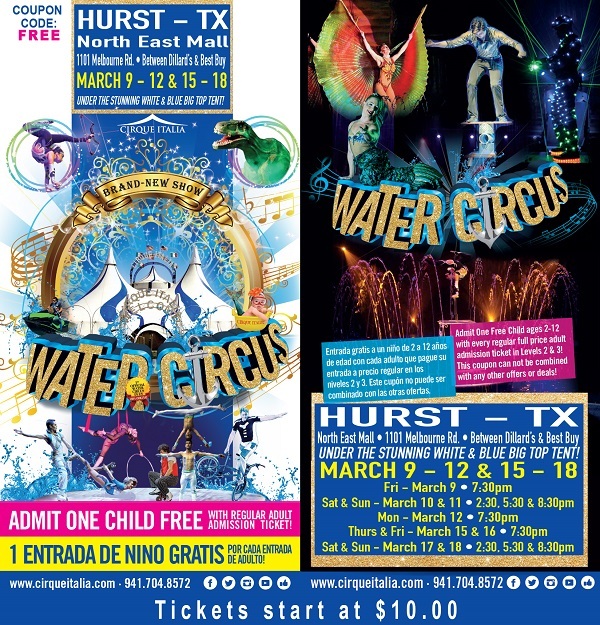 It’ll be at Northest Mall in Hurst through March 18th, and they recently added additional dates in Grapevine, Denton and Wichita Falls. We went on opening night and it was really fun. The talent we saw underneath that big blue and white striped tent was incredible! 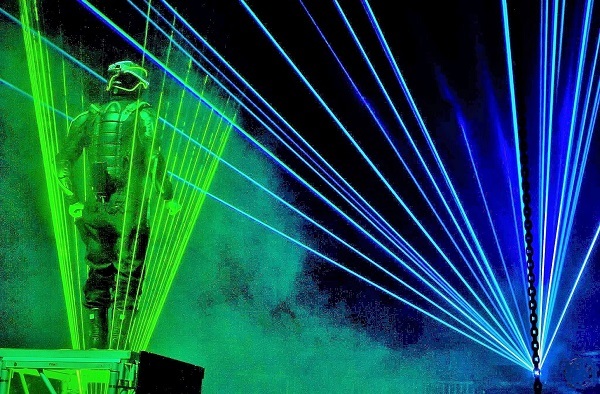 A few of the acts were similar to things we’ve seen on America’s Got Talent. But unlike a show edited for television, we got to see how real the performances are. 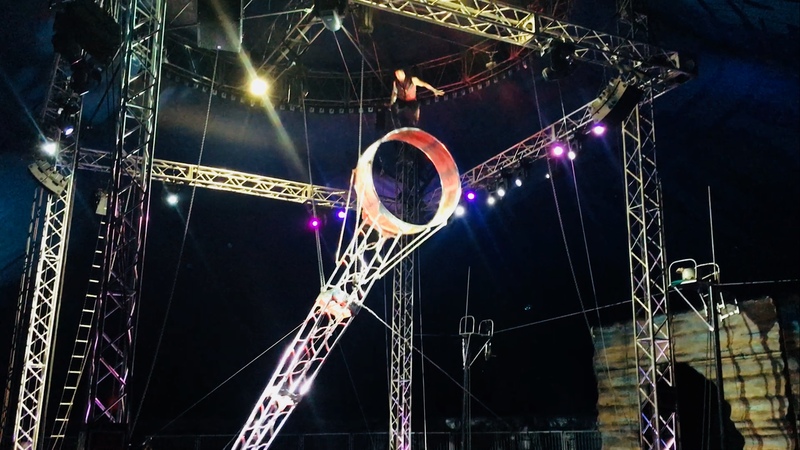 There were occasional mess ups, like a drop while juggling or a fall off the tightrope, but this helped to showed the complexity of the acts and the overall skill level of the performers. 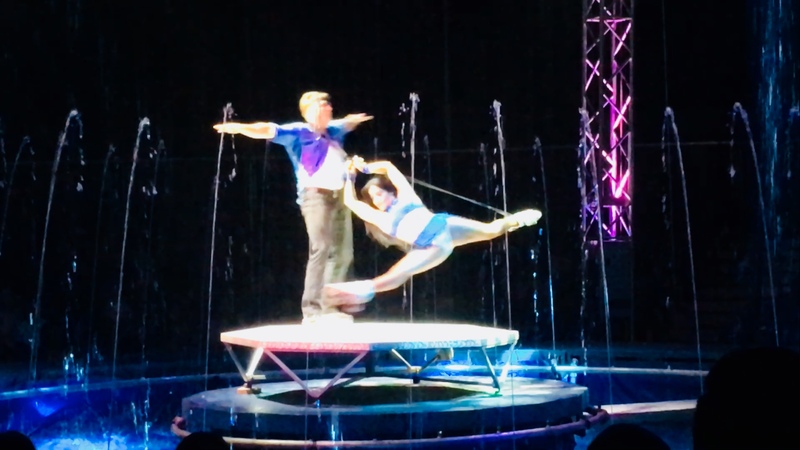 And as a mom, what I appreciated most was when there was a fail or an error, the performers didn’t give up, rather they attempted the same trick again to prove they could be successful. It made me think of the old saying, “If at first you don’t succeed, try, try, try again.” It’s called perseverance, kids! 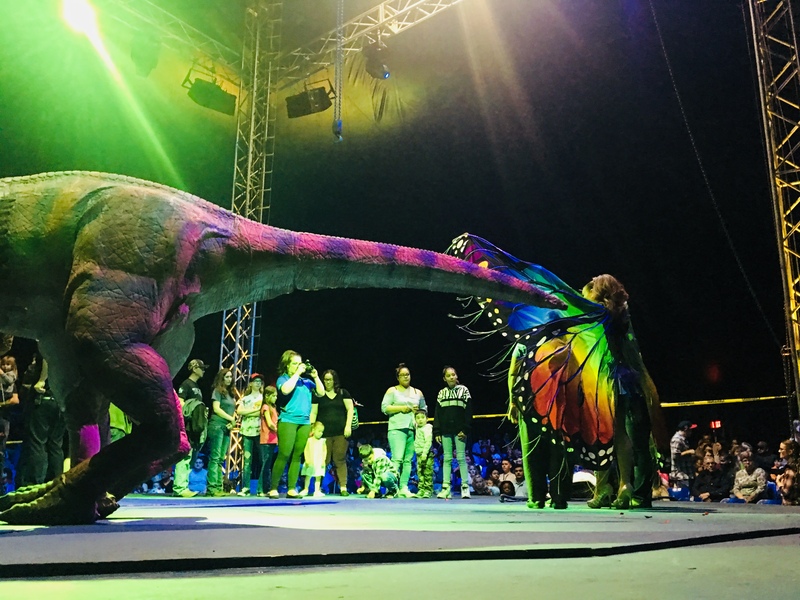 Of course there were times when the performers looked as if they were struggling or about to fall, which led to gasps and screams from the audience. But I think it was all part of the fun to create drama and excitement. Like this guy below on the barrel roll (or whatever you’d call it) who “stumbled” and acted as if he were about to plummet 40 feet to the ground. 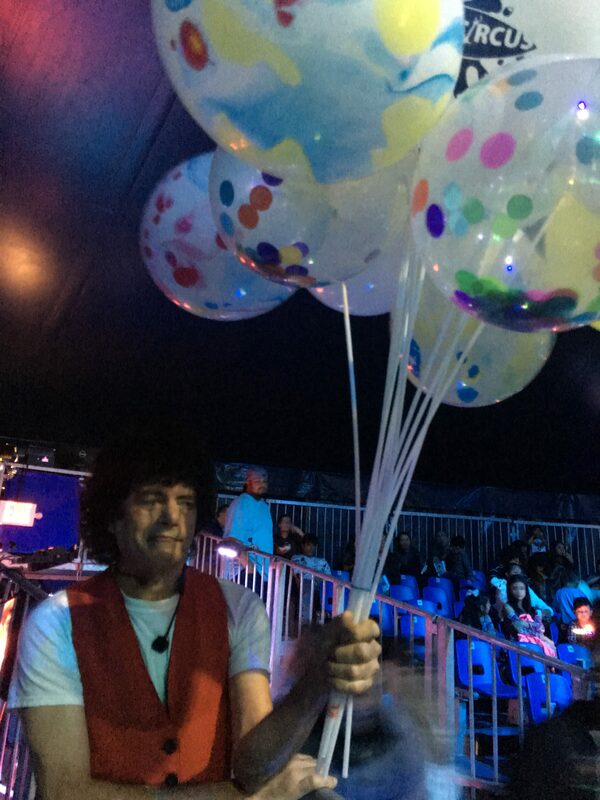 The crowd was mesmerized and cheering him on to survive the dangerous trick. So fun! 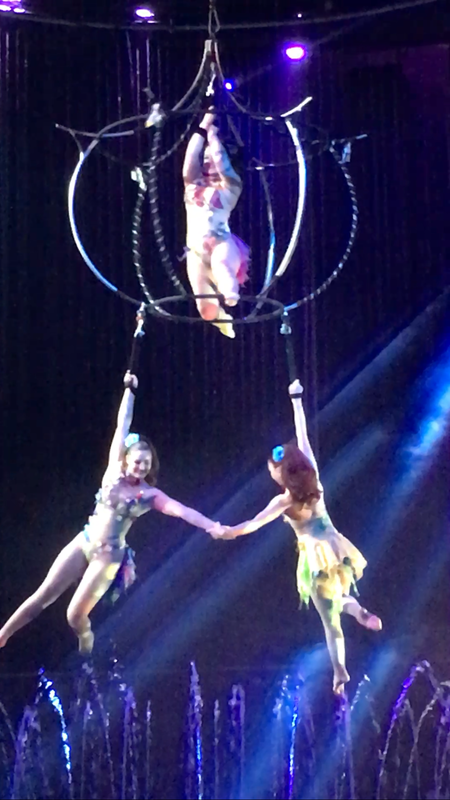 I also loved the “butterfly girls” who did beautiful aerial stunts. And the couple who roller skated on a platform about the size of my kitchen table. WOW! Go HERE to get purchase tickets. Prices are $10 to $40, depending on availability. 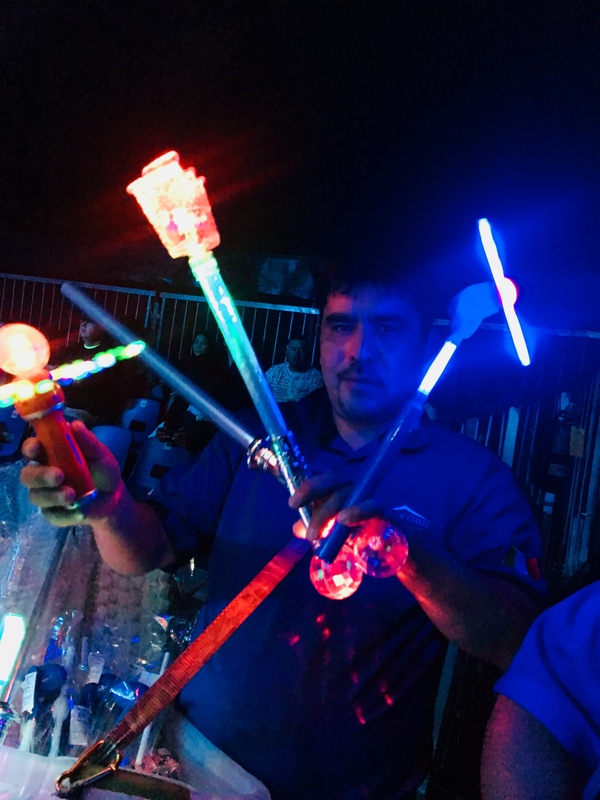 Plus, use promo code FREE to get (1) free child admission with every full priced paying adult ticket in levels 2 or 3. This is a Las Vegas quality production coming straight to our neighborhood underneath a grand, swirling White and Blue tent. Isn’t it great living in North Texas!! You can purchase tickets HERE or by phone: (941) 704-8572. They also respond to text messages. Of course, you can also purchase them at the box office. 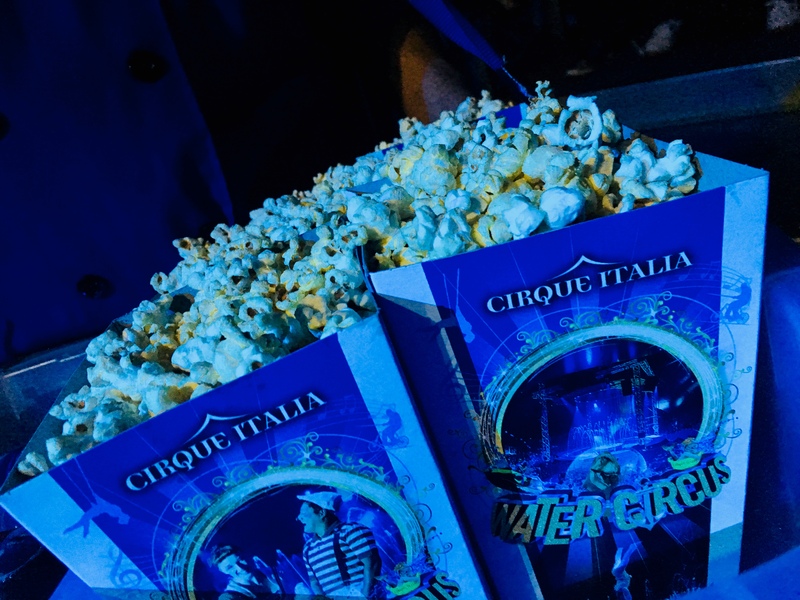 For more information visit www.cirqueitalia.com and make sure to check all of their social media accounts below. 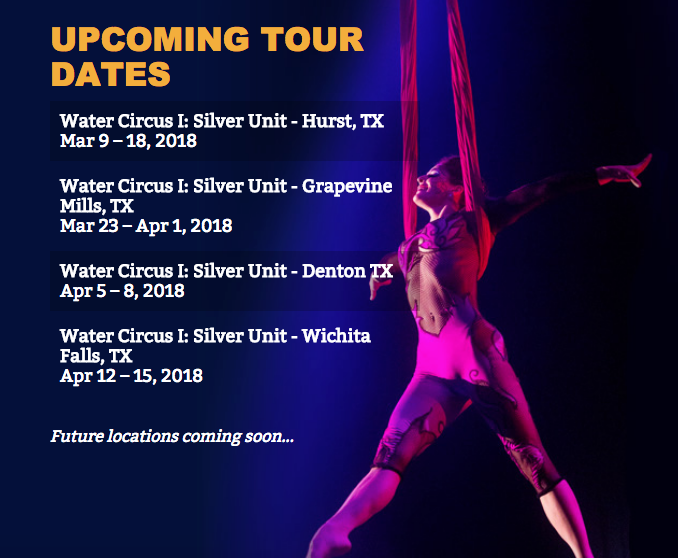 Disclosure: I’ve partnered with Bloggin’ Mamas & Cirque Italia to share this upcoming tour stop with my readers, and am being compensated for this partnership. All opinions expressed are my own. Next articleTop 5 National #PiDay Deals = Cheap Pizza, Pastries, Chicken Pot Pie and MORE!